On Thursday, the PGA Tour makes its yearly trip to Canada for the RBC Canadian Open. As you may expect the week after the Open Championship, the field isn’t a particularly strong one, however some big names are taking part, such as, Jason Day, Bubba Watson, Jim Furyk, Brandt Snedeker and Luke Donald. Last year’s winner, Tim Clark also features after failing to get a Visa in time to play in last week’s major championship. 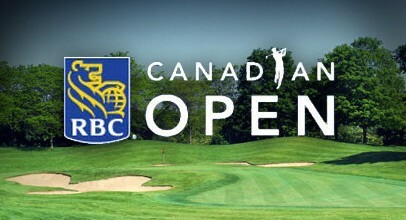 After a year off, Glen Abbey golf course returns to the PGA Tour schedule to host the RBC Canadian Open this year. It is a par 72 that’ll play a relatively easy 7,273 yards and Brandt Snedeker shot -16 to win this event in 2013. There are two statistic to look out for these week are those are scrambling and par 5 scoring average. The last two winners at Glen Abbey are Snedeker and Nathan Green and both are excellent scramblers. Finally this course features four par 5’s and scoring well on these will be essential to success this week. Luke Donald – Luke Donald appears to have found form again and he’s an excellent price in a mediocre field. Despite a poor third round in last week’s Open Championship, the Englishman finished in 12th position and before that he recorded consecutive 7th place finishes, these results suggesting he’s playing great again. Glen Abbey should suit Luke, he’s one of the best scramblers in the world and he’s always ranked well in par 5 scoring average because of his excellent work around the greens. Morgan Hoffman – Talented American, Morgan Hoffman comes into this week slightly under the radar and I think he’s got a great chance at a big price. He’s recorded two top tens this season, and finished third in last year’s BMW Championship, Morgan certainly has the potential to win. As I’ve mentioned above, par 5 scoring average is a stat that’s important and Hoffman is ranked 10th on the PGA Tour this season in terms on par 5 scoring average. He’s also a decent scrambler, therefore Hoffman is well worth backing at 80/1. Martin Laird – Like Snedeker, Martin Laird also has good course form. The Scotsman finished 22nd around this track in 2008 and 16th in 2009, therefore we can expect him to go well this week. Laird ranks well in both the scrambling and par 5 scoring average statistic and I expect both to be crucial as they have been in previous renewals at Glen Abbey Golf Club. Finally, Martin isn’t in the best of form but he’s a three time winner on the PGA Tour and has recorded three top tens this season, this leading me to believe that he’s more than capable of winning.